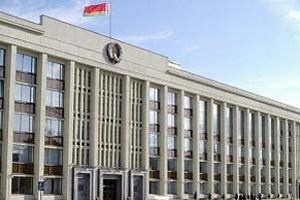 Minsk, December 11, Interfax – The Minsk city executive committee has banned two gay pride parades in the city, the human rights project GayBelarus has reported. “The Minsk city executive committee has declined to authorize two public Minsk gay pride parades 2013 timed to the Human Rights Day,” the report says. One of the rallies was banned because the request for its authorization contradicted the law on mass events, which prohibits mass events held within fifty meters of the buildings of public administration bodies, diplomatic missions, and consular establishments, the report says. The picket was denied authorization because the site its organizers wanted to use had already been booked for children’s sports event. The Minsk city executive committee did not offer to the organizers of gay pride parades to change the format, time, or venue of the events. “The human rights project GayBelarus believes the reasons for declining to authorize the events are far-fetched and the Minsk city executive committee’s unwillingness to discuss a different format and time of the events constitutes deliberate contempt of civil and political rights and freedoms,” the report says.